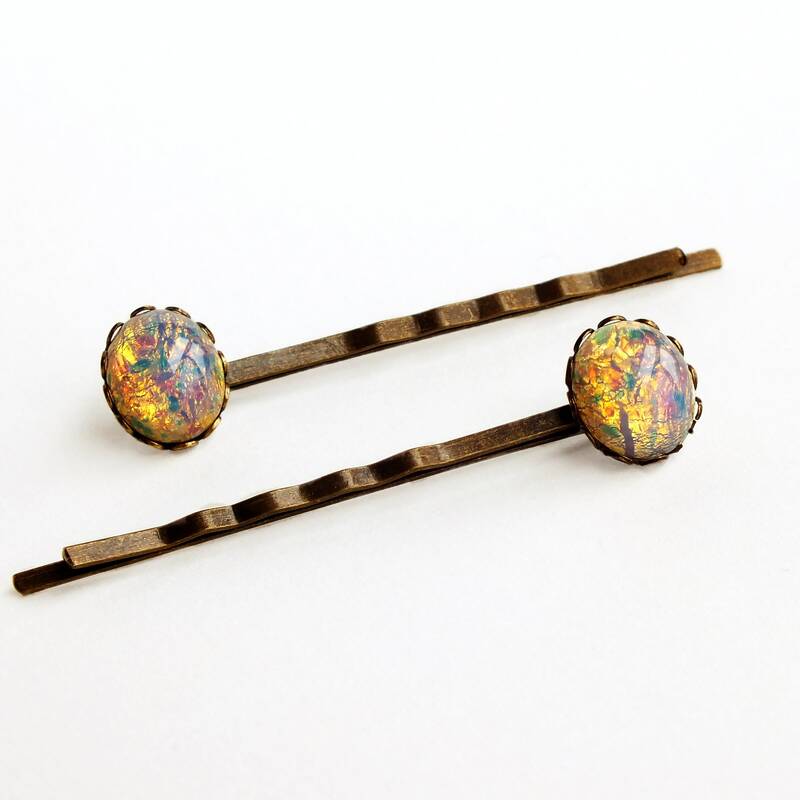 Handmade pink opal hair pins with vintage pink and gold glass fire opals and antiqued brass bobby pins. US made antiqued brass settings. 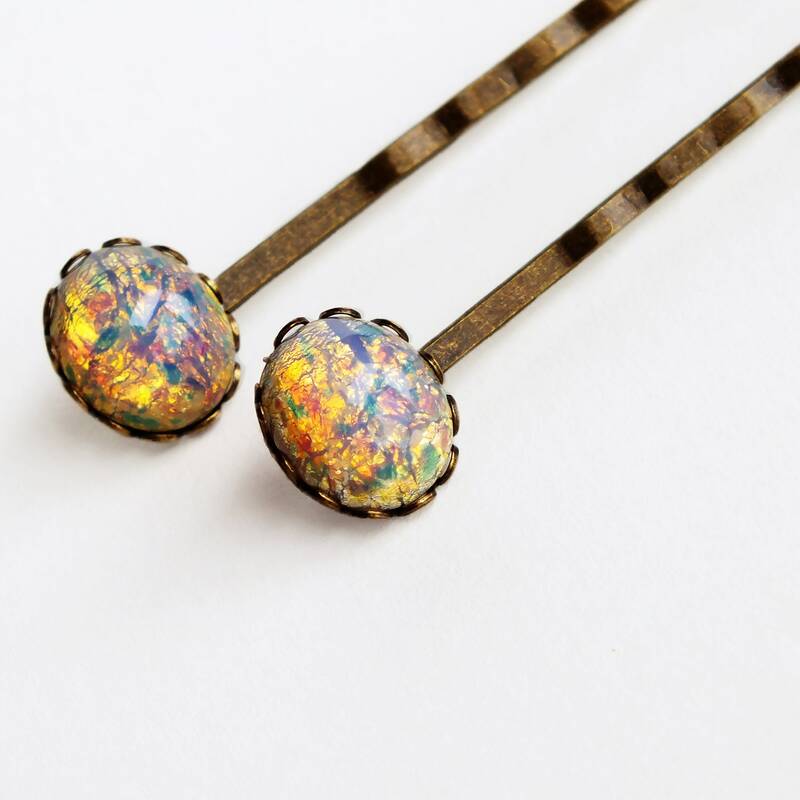 High quality antiqued brass bobby pins. 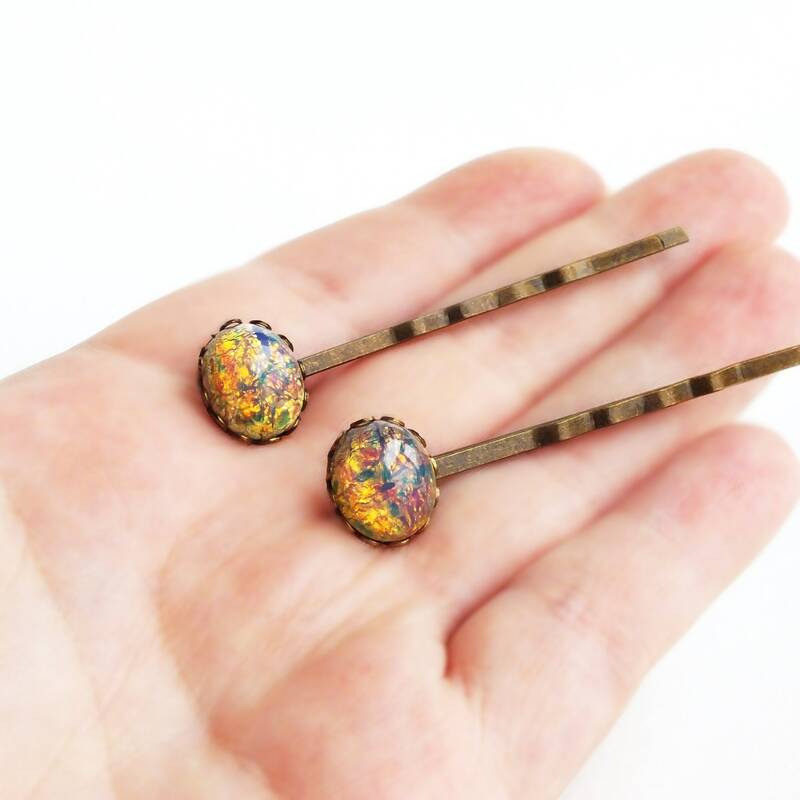 Hair pins are 5.8 cm - 2 1/4 inches long. 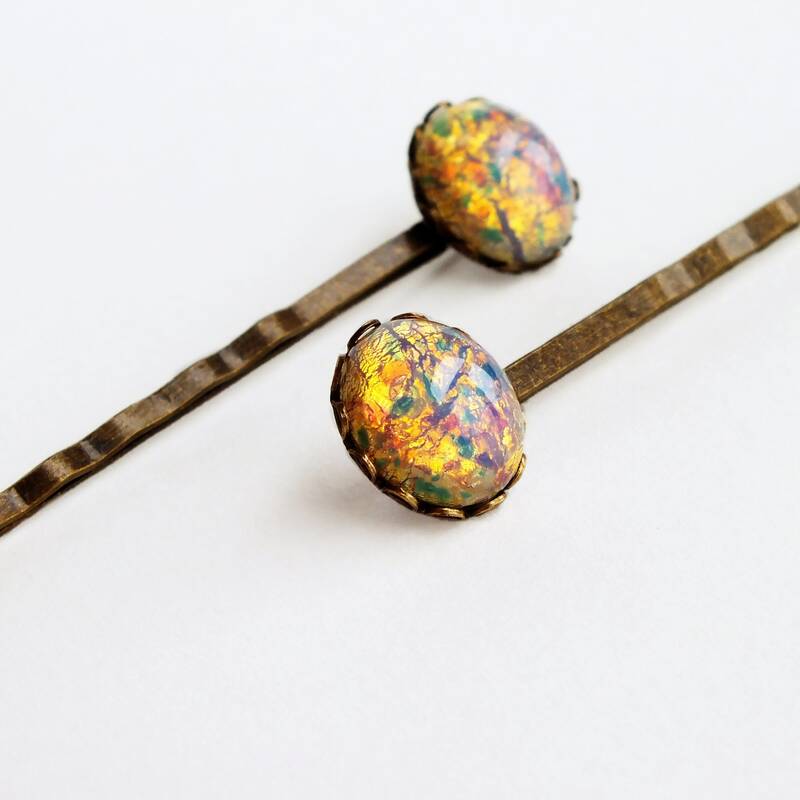 Made with beautiful genuine vintage large domed glass cabochons called 'harlequin fire opals' in a pale pink and gold color. 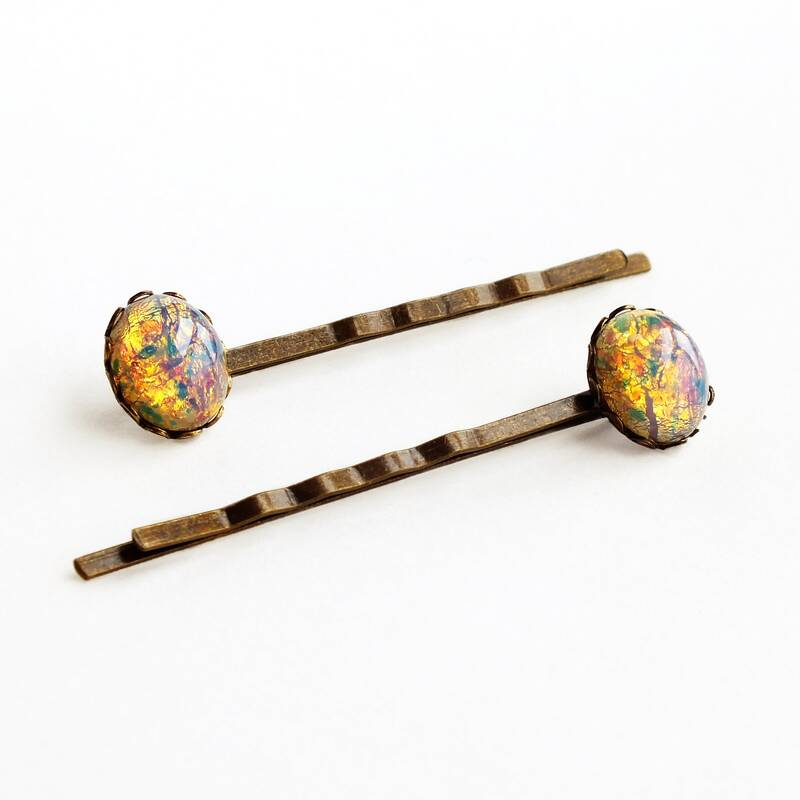 I set them in lacy antiqued brass frames secured to antiqued brass bobby pins.